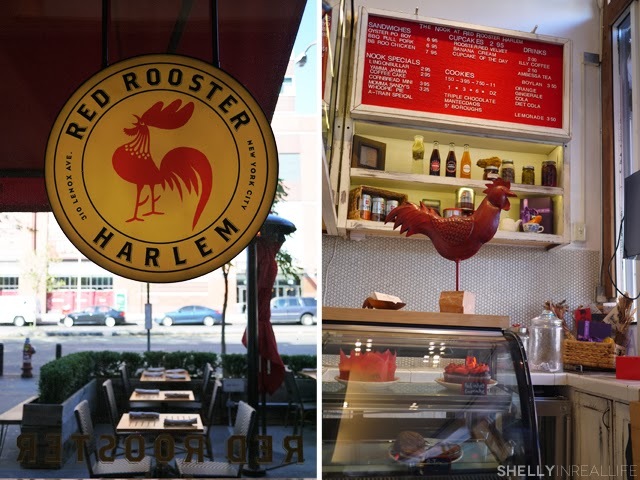 It's taken me quite some time to finally make my way up to Harlem to try Marcus Samuelsson's restaurant, Red Rooster, and I'm glad I finally did. I first learned about Chef Samuelsson watching him compete for the title of The next Iron Chef. He was well known for making more dishes than the judges asked for, the judges always have him negative feedback for it, but he couldn't help it - it's just the way he likes to cook! 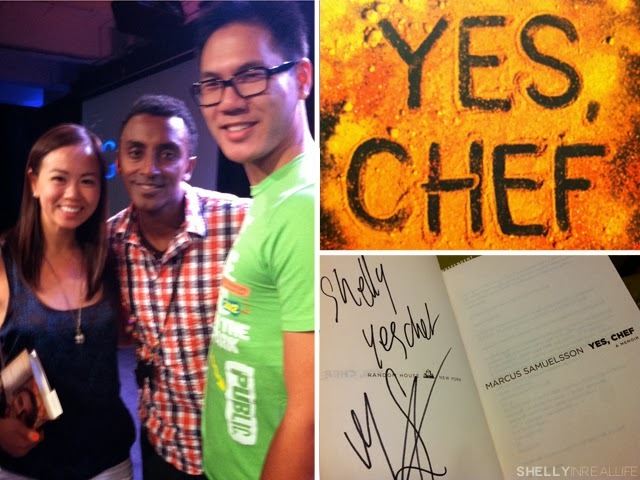 Since watching him on Iron Chef, I have also seen him in a live interview as well as read his memoir, Yes Chef. It was fascinating learning about his background - that he is an Ethiopian orphan who grew up in Sweden - as well as his passion for food & cooking. He started working his way up right out of high school and eventually became the youngest chef to receive a 3-star rating from the New York Times while being the Executive Chef of Aquavit at age 23. In 2010, he opened Red Rooster, a restaurant featuring american comfort food with a Swedish and Ethiopian twist. Early one Sunday morning I had a craving for fried chicken, knowing that a line develops at around 11:30am, we made the trek to Harlem by 11 and were seated pretty quickly. I loved the vibe of the whole place, it felt strangely homey and welcoming. 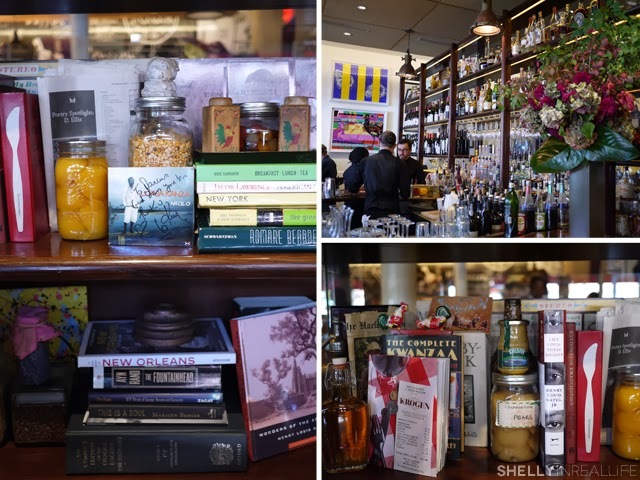 The walls and bookcases were filled with different memorabilia from both Samuelsson's life and the Harlem neighborhood the restaurant is in. 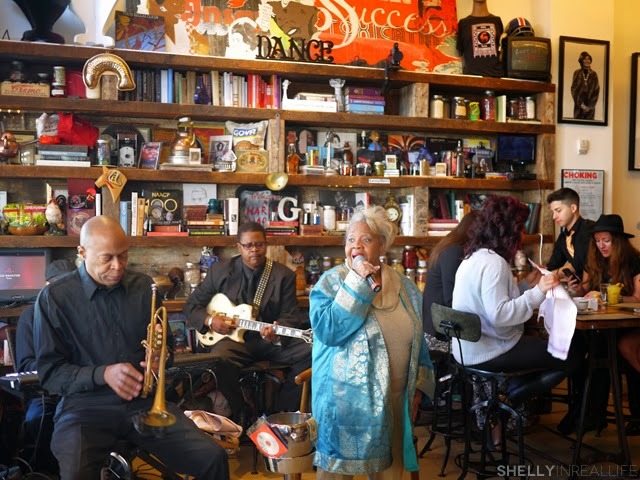 I was also surprised to find a live jazz band/gospel group playing and singing for us - it really set a great lively mood to brunch. 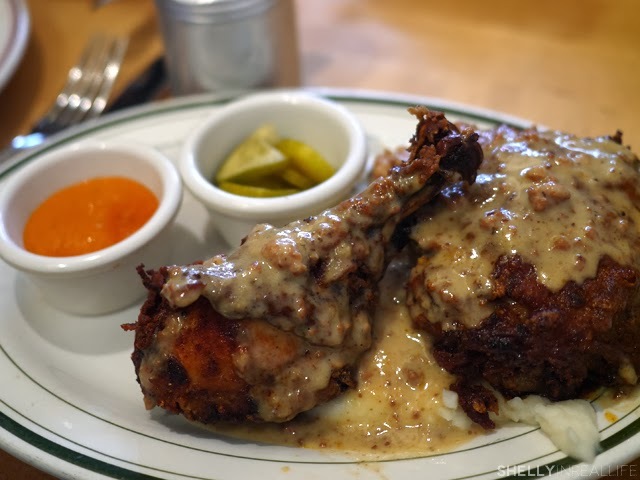 Onwards to the food - I came in craving fried chicken but was surprised to find out that their Fried Yard Bird Chicken didn't come with waffles for brunch. Sad, but true. Wanting to try their chicken so I ordered it anyway. Everything about the dish was good, from the juicy chicken and saucy mashed potatoes. It came with a great sauce with some spice to it and pickles, a nod to Samelsson's Swedish roots. I definitely would recommend this dish. 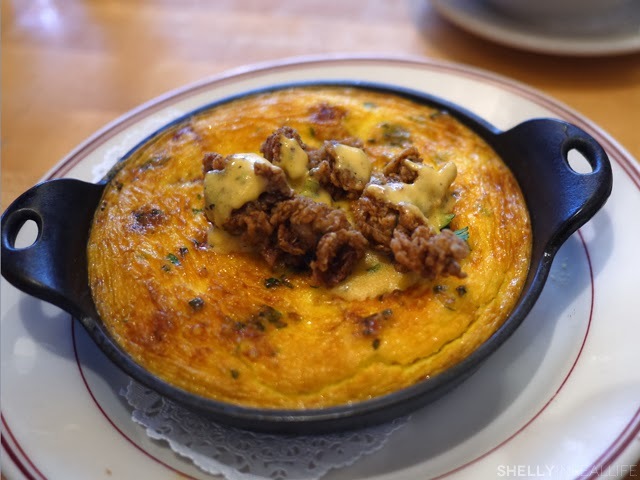 J ended up ordering the which promised baked eggs and crispy oysters but sadly ended up looking like a dry frittata. How disappointing. Skip this dish. In fact, according to their website, it isn't even on the menu right now, lucky you! The redeeming dish J's fritta was the Po Boy sandwich. The oysters were well fried and came in abundance with the sandwich. 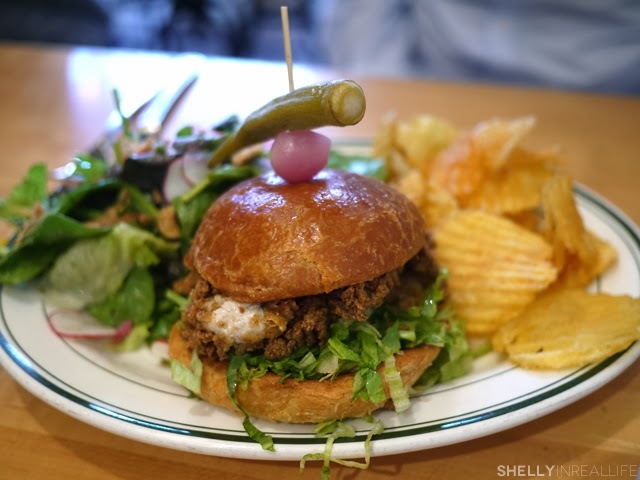 It was matched with a great sauce, making this whole thing a great po boy sandwich. 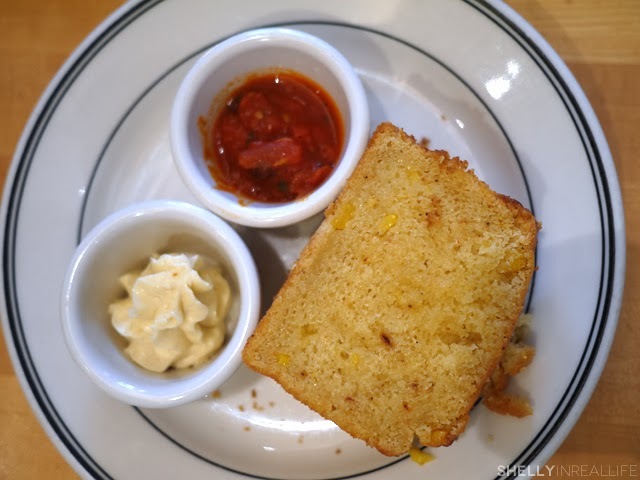 There were two more things we had to try, their famous Cornbread and their Crayfish Grits. I love cornbread, and I was really happy to see bits of corn in this version. The bread was moist, I just really wanted to eat it all day with the great tomato jam that came with it. For the price, the portion of two slices could have been a bigger but it's just cause I'm loving it so much. 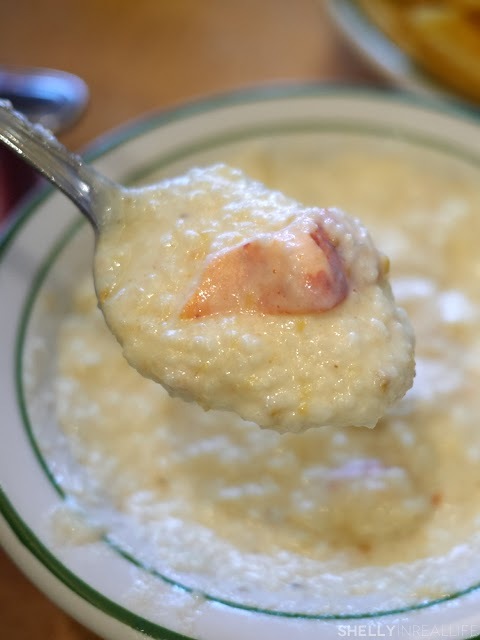 The Crayfish Grits didn't live up to my expectations. Too buttery, wasn't anything special. The three of us ate a bite or two and didn't even want to finish the dish. 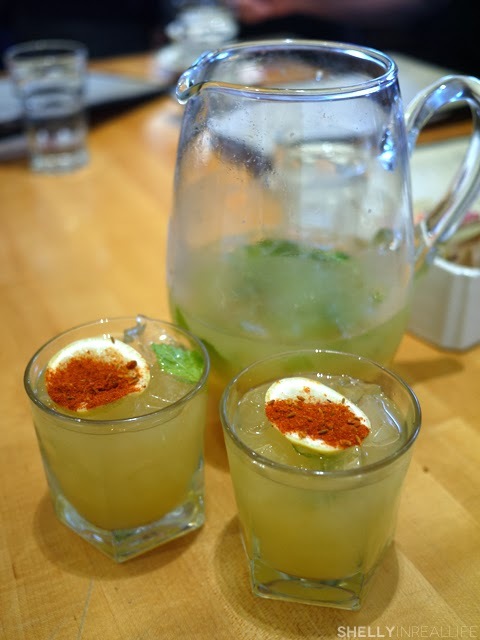 Finally, we decided to get a pitcher of Yes Chef which was a mix of wodka vodka, ginger beer, pineapple and berbere which is an intense spice mix from Ethiopia. Found it pretty tasty, no regrets here. 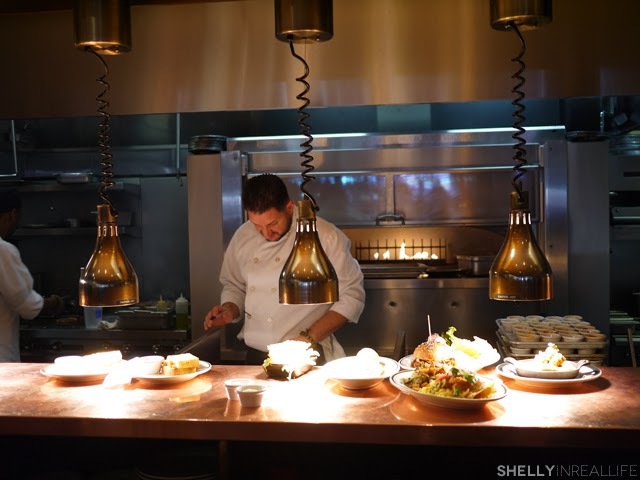 Given my high expectations for Chef Samelsson's restaurant, I wasn't completely blown away. 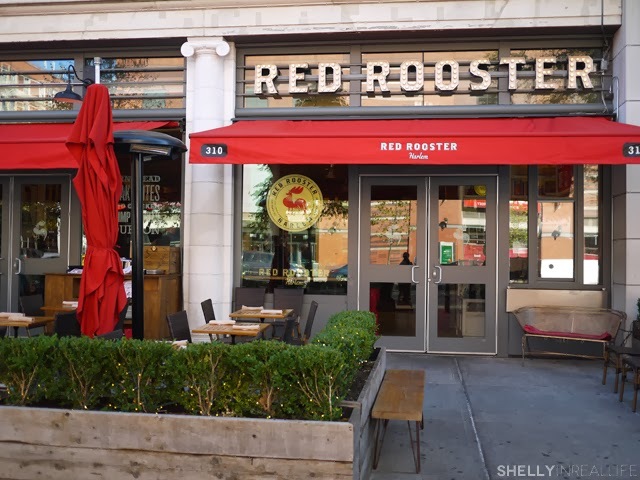 With a few ups and downs for Red Rooster, I personally wouldn't come back again for the food, rather I'd come back for the experience. We also saw a lot of people lining up for the Sunday Gospel Brunch here which is a brunch buffet for ~$40 along with performances by gospel groups. Seems interesting and entertaining, starts at 11:30 with no reservations so come at around 11:15 to make sure you get in quickly!